The book series called Divergent is an interesting one. 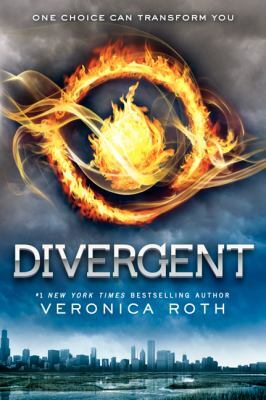 It is the first book in a three-part series (Divergent, Insurgent, Allegiant). This was a book recommended by a friend who has a similar taste in books. Overall, I enjoyed this book, though some parts were questionable. Divergent is about a future Chicago where everybody is split into factions. There are 5 factions with different attributes associated with it. There is Abnegation (Selflessness), Amity (Peaceful), Candor (Truthful), Dauntless (Brave), and Erudite (Smart). When you turn 16 you go through a test in which you are given a faction that is mostly likely one that you would be placed in based on what you pick in the test. There is then a ceremony where you must pick where you live, work, and do everything for the rest of your life. There are tests to get into the faction and if you don’t pass you could become factionless. However, there are people called the Divergent. These people can do things like manipulate the tests and be aware that they are in a simulation (whereas normal people can’t). Beatrice Prior (Now known as Tris) was born and raised in Abnegation where everything they do has to be selfless, whether it means eating the simplest food or letting other people get on the bus before you. When she takes her aptitude test to see which faction she is fit for, the person administering it stops and says she is Divergent. She says this is dangerous, not to tell anyone, and then manually logs the data saying Tris is Abnegation. When the ceremony comes around Tris must make a hard decision. She picks Dauntless, where they are all about being brave. She has a large amount of experiences, losses, and rivalry along the way. She also meets a person named Four (Tobias Eaton). They start to have a romantic relationship but must keep it a secret. They then discover a plot against the Abnegation, started by the Erudite who want power, and powered by the Dauntless because they have skills in combat. They are being controlled by a serum that had been injected unknowingly. Since Tris is Divergent she is not affected. She needs to save her friends and stop the Erudite from killing all the Abnegation. I overall enjoyed this book a lot. The only parts I didn’t like were when she was talking with Four. The way that it was described and, the way that they communicated seemed inappropriate for 16-year-olds. Besides that, and the fact that some parts are sad. 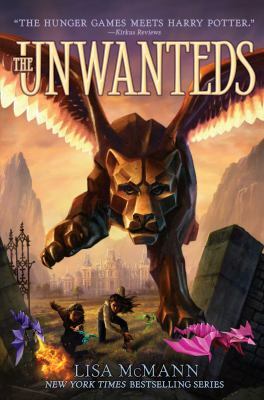 It was a very good book and I would recommend it, especially if you are into books such as The Hunger Games, Percy Jackson, or Harry Potter. I would rate this book a 9/10. This is the 3rd book in the Lunar Chronicles Series. 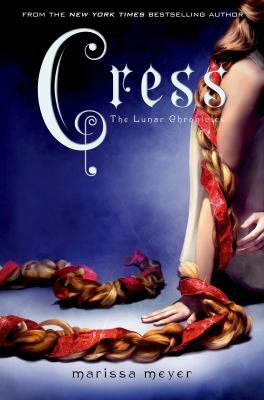 This book revolves around a girl named Cress who is trapped in a satellite. Cress is related to the story of Rapunzel. As Cinder, Throne, Wolf, and Scarlet join together in their journey, they find out the girl who warned Cinder about Queen Leanna in the first book. While communicating with the Rampion spaceship, Cress asks Cinder’s crew to rescue her from the satellite where she was imprisoned by Thaumaturge Sybil Mira. However, this rescue mission takes a dangerous turn when Thaumaturge Sybil Mira finds out that Cinder’s crew is going to rescue Cress. Another new character is introduced known as Jacin Clay, the pilot who flew Thaumaturge Sybil Mira to Cress’ spaceship in order for her to lay out the trap for the crew but, Jacin Clay joins Cinder’s side and plays an important role throughout the rest of the series. The trap results in Throne and Cress close to death with Wolf so injured that he is unconscious, and Scarlet captured by Sybil Mira. Cinder is the only one left who thinks Throne and Cress are certainly dead. So she decides to go to Africa to meet with Dr. Erland. On the other hand, Throne and Cress land on the Sahara Desert but, soon rescued by a group of people who turn out to be Lunar traffickers that kidnap Cress and take her to Dr. Erland. What they don’t know is Dr. Erland and Cress are related… and Throne goes after Cress and the group is reunited again except for Scarlet. The crew together hatches a plan to kidnap Emperor Kai who fell in love with Cinder in the first book, but is marrying Queen Levena to prevent war with Lunars. Later on, the crew decides to go to Luna and declare Cinder as the missing princess Selene, and have a plot to overthrow the queen. Many dangers takes place in this plan, causing some to die. A new love story is created between Throne and Cress! This brings them even closer as they get stuck together in the Sahara Desert. I would rate the book a 9 out of 10 because of its surprises, twists, and turns. It really makes you think what will happen to the crew when they reach Luna as Cinder is back to her home planet, and will Wolf meet his parents after many years. This also makes you want to read the next book to find out what happens to the crew and will they succeed?…..and what is Queen Levena plotting? This is a great book! Definitely read this book but, first read the first two books in the series if you haven’t yet. Summary — The company says Otherworld is amazing — like nothing you’ve ever seen before. They say it’s addictive — that you’ll want to stay forever. They promise Otherworld will make all your dreams come true. Thoughts — I loved Otherworld. It was funny and somewhat serious at the same time. It almost felt like reading about a possible future for our world, just because in reality, technology is so advanced now that it’s kind of scary. The characters in Otherworld all had their own attributes that made them, them. Like, Simon had his nose, or Kishka as he called it. Simon was my favorite character. He was hilarious even though his parents didn’t seemed like they cared at all. His childhood wasn’t full of loving memories and his parents were rich and constantly gone. That just made me love him more. I’ve also found that characters with the name Simon have gone through so much, but they have a great sense of humor. Another thing that was great about this book was that I got to meet Jason Segel and Kirsten Miller at Yallfest a couple of weeks ago and it was amazing. They were hilarious and I stood in line for twenty minutes to get the book signed. Their panel was awesome! 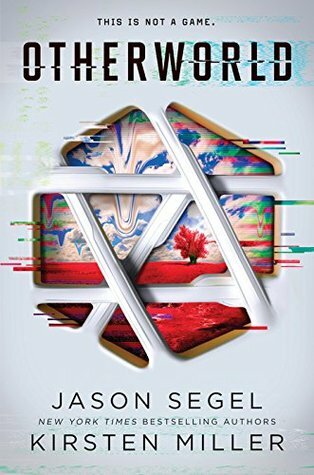 Summary – The Renegades are a syndicate of prodigies — humans with extraordinary abilities — who emerged from the ruins of a crumbled society and established peace and order where chaos reigned. As champions of justice, they remain a symbol of hope and courage to everyone … except the villains they once overthrew. Thoughts – I absolutely loved Renegades! It took me less than a day to read it. I couldn’t put it down, just like I couldn’t put down any of The Lunar Chronicles books or how Heartless was impossible to stop reading. That’s what I love about Marissa Meyer’s books — they pull you in and they won’t let you out until you’ve devoured the entire story. This month, I was lucky enough to meet Marissa Meyer and see her in a panel with Cassandra Clare which was amazing! She was super nice and I got Cinder and Heartless signed. I wrote a review on YALLfest so go check that out! My favorite character in Renegades would have to be Nova. She was strong and though her abilities weren’t showy, they were silent and powerful. On the other hand, my least favorite character was Ingrid, she was just horrible to the other Anarchists. I highly suggest this to anyone that likes superheroes or anyone that enjoyed Marissa Meyer’s other books. “Juliette hasn’t touched anyone in exactly 264 days. Umberland, the second book in the Everland series, by Wendy Spinale is a remade version of Alice in Wonderland. This series is about the deadly Horologia virus ripping through the world. The English were working on the virus in a lab but the Blooded Queen of Germany strategically bombed this lab so that the virus got released into the air. Everyone is falling ill and there is no end in sight. In this book, Doc finds the Professor’s journal that includes a missing ingredient of the virus. This ingredient is a poisonous apple from a tree that supposedly no longer exists. With this new information, Doc realizes they aren’t sick at all – they are poisoned. He needs this apple to make an antidote. Countless people are depending on it and he must enlist the help of someone crazy to retrieve the apple. Since Doc needs to stay and care for the ill, Duchess Alyssa of England goes to the Maddox Hadder, who knows how to get the apple. The apple tree is in the middle of the Bloodred Queens labyrinth. This is already extremely dangerous, but with two of the Bloodred Queen’s men looking for the same thing, it is even more so. With the Duchess gone and the Queen too ill to rule, England goes into chaos. I liked this book because it was a twist on regular fairy tales and it combined a lot of different fairy tales into one interesting story. I recommend this book because it is very interesting and you will not be able to put it down.